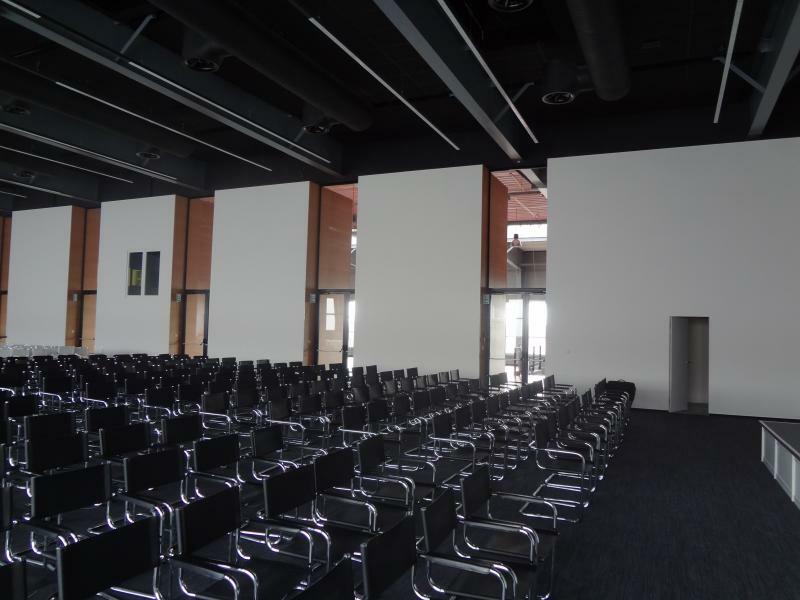 One of the pavillions at the Exhibition Centre in Letňany was reconstructed and a new conference hall was built there as well. 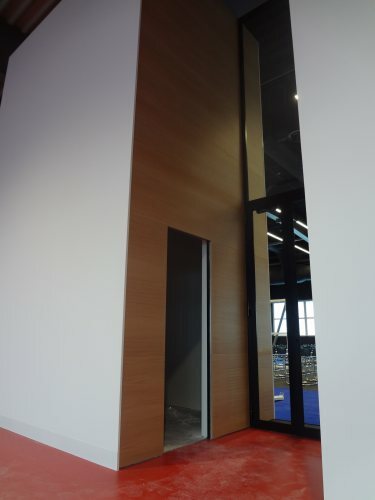 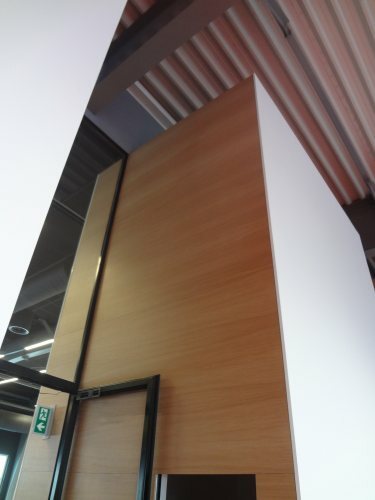 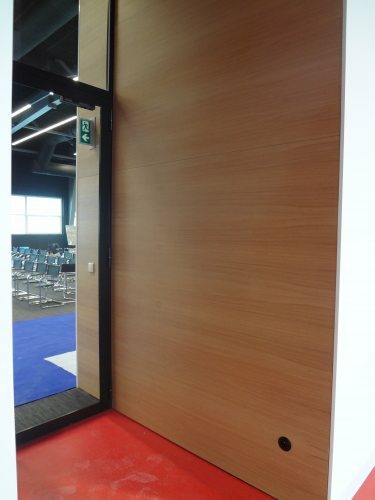 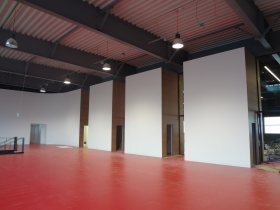 On the request of the architectural office, which dealt with this reconstruction and the design, and the ´firemen´ (Fire safety solutions) Grenamat material had to be used for panelling of the entrance area of the conference hall. The architect chose natural veneer European oak with horizontal structure and a ´honey´ hue as the finish of the boards. 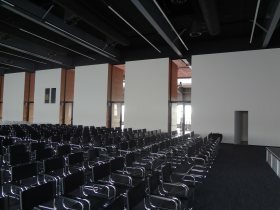 When you go to an exhibition to Letňany, come and have a look! 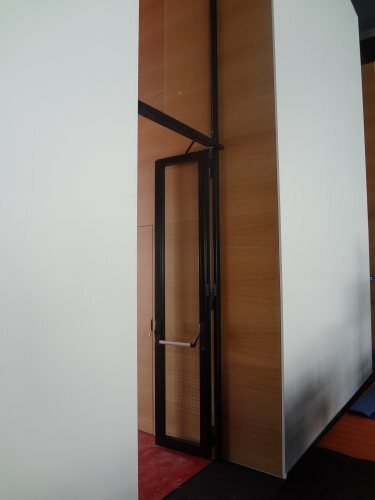 It´s worth it!